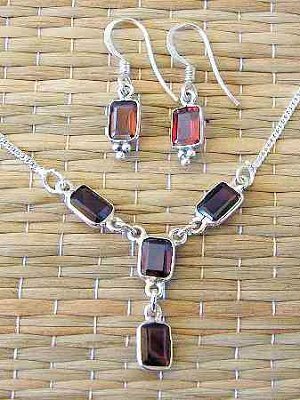 16" Silver necklace with 4 faceted stones in sterling silver bezel. Lightweight and delicate, this gossamer design lays beautifully and attracts attention through understatement. See also matching bracelet, B017 and matching earrings, E017. Wholesale sterling silver jewelry. Handmade in India. Bracelet with rectangular stones set in wire bezel.